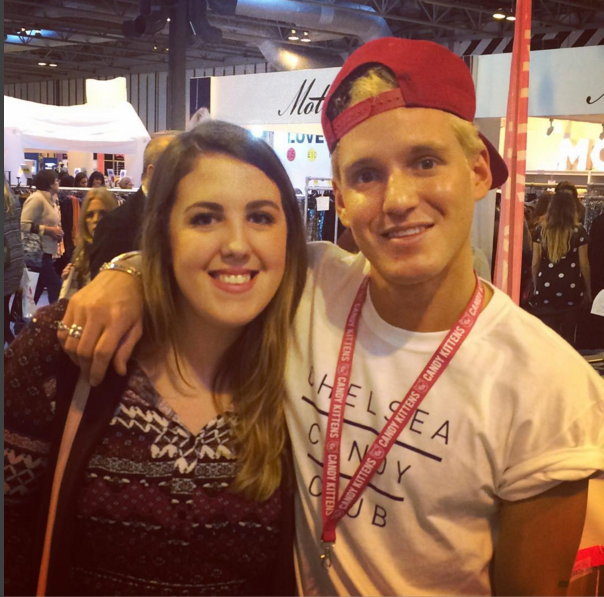 Beautiful You: Blogmas Day 15 | The Clothes Show! Blogmas Day 15 | The Clothes Show! I know that this post isn't really Christmassy but I did go in December and I wanted to share my trip with you all. So this year my sister and I wanted to take our cousin to the Clothes Show as she had never been before and we love it! 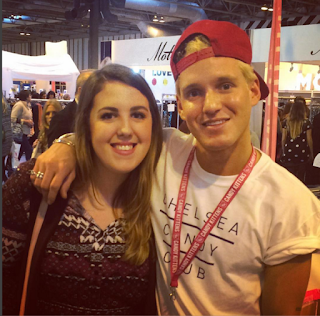 The first thing I knew I wanted to do was to meet Jamie Laing, your all going to think I'm pathetic but I think he is hilarious. When I saw him at his Candy Kitten's stand I had to buy something so I could get a picture so I bought a notepad and a matching pen for £5, which I didn't think was a bad price and, I got my selfie, I'll put the picture below so you guys can see. Next we had a little shop around and looked at the different stalls, what I love most about the clothes show is that there is such a big variety of different types fashion- there really is something for everyone. My cousin has a very different fashion taste to me and my sister but we all managed to find something that we loved. We were walking around trying finding somewhere to sit after buying lunch and we ended up sitting next to where someone was going to be doing a signing. Later we discovered it was Chloe Lewis from TOWIE and I decided to join the short queue to meet her, she was so lovely and seen as I was the last one she gave me a personalised autograph. My one mission for the day was to find a dress for my work Christmas party and I had been looking at so many stalls to try and find something. I came across the Little Mistress stand and I saw quite a few dresses that a like but it wasn't 100% until I saw a model wearing this certain dress that I knew it was the one, you'll see it later in the week. The only other thing that I bought apart from what I have mentioned was a eye shadow palette from Kardashian Beauty which is so nice, if you want me to feature it on here let me know in the comments. 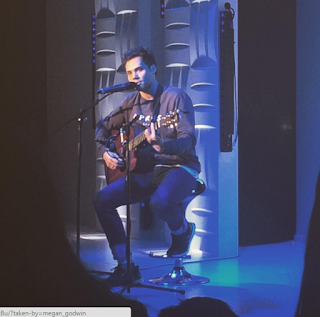 The last thing we did in the day before heading home was sit and listen to Andy Jordan whilst he was playing a set on one of the catwalks. He used to be one of my favourites from the show and I think he has a really great voice so I wanted to sit and listen to it, I'd definitely recommend seeing him live. 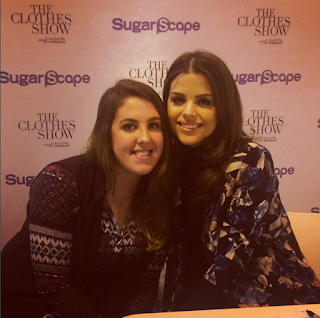 Anyway I hope you enjoyed reading about my trip to the clothes show and what we got up to, if you went to the clothes show let me know what you bought and if you met anyone cool! I promise I will be back with more Christmas posts tomorrow so see you then!